Soap nuts are an amazing fruit with many wonderful uses in your daily life. They are berries, but earned the name “nut” in reference to the hard, nut-like shell they form after they have been harvested and dried in the sun. They are safe for even for people with severe nut allergies. They contain saponins, soap-like components, called surfactants, which are natural cleaners that, just as their chemical counterparts, lift stains from the fabrics and naturally remove odors. -You can even reuse the same nuts up to 7 times without losing its cleaning power. -You can get rid of all other toxic fabric softeners. -World's best laundry detergent for eczema and people with sensitive skin. -Eliminate odors in your laundry more effectively than chemical detergents. -Save over half the cost of regular name brand detergents. -Get your first bag and check hundreds of our soap nut reviews here! -You are supporting your health and the environment with an all-natural, eco-friendly, non-toxic effective cleaner. The All-Natural Laundry Detergent That Grows On Trees! Would you prefer to do your laundry with toxic chemicals? Of course, everyone would say no to a question that ridiculous. That’s why it seems odd to us that everyone continues to use name-brand laundry detergents and cleaners that are filled with toxic chemical detergents that pose clear and proven health hazards. At Green Virgin Products, we’ve found a better way to do your laundry without the toxins or chemicals! As we mentioned earlier, these nuts are not actually nuts (great for people with nut allergies). They are a fruit that develops a hard, nut-like shell when it dries. This amazing fruit has been used as an all-natural cleaner for thousands of years, but it is gaining popularity recently for its effectiveness as a chemical-free laundry detergent. We haven’t done our laundry with anything else since we found soap nuts, and the best part is that it is much cheaper than any name brand detergent. It seems like a simple choice to us. Eliminate the known human carcinogens and harmful chemicals from your clothes and save money doing it! The Best Laundry Detergent If You Have Babies And Small Children! It’s common knowledge that babies are more susceptible to toxic chemicals and carcinogens. Most people with babies and small children would tell you that they take every precaution not to expose their babies to chemicals. The unfortunate thing is that these same people have no idea how many harmful chemicals are in that name brand laundry detergent that they wash their baby’s clothes in. The worst part is that many of these same people are fooled by name brand laundry detergents that purport to be safer and gentler on baby’s skin. For the most part, this just is not true. These “baby-safe” detergents are very similar to their extra-toxic, “regular” counterparts. These parents are trying to make a safe choice for their baby and they are getting fooled by the big marketing budgets of major corporations. These marketing departments know that popular terms like “gentle,” “toxin free” and “clear” will trick caring parents into buying the same exact laundry detergents in shiny, new packaging. Often, these re-marketed laundry detergents will actually be more expensive. Seems like a great deal, doesn’t it? Many well-known name brands have a line of products marketed as “safer for babies.” Many of these companies advise you not to put chemicals in reach of babies and to cover-up your electrical outlets. Certainly that is great advice. However, they left out the best advice of all, which is to never buy any of their products. Most name brand baby-friendly soaps and detergents contain ingredients that are highly concerning. At Green Virgin Products, we have a better idea. You can save money and eliminate all those toxic chemicals commonly found in most name-brand detergents in one simple step. Start using our Soap Nuts to safely and effectively wash all your clothes. You’ve immediately taken an important step for the long-term health and wellness of your child by no longer regularly exposing them to those harmful chemicals. Soap nuts are hypoallergenic and eliminate the need for toxic fabric softener and dryer sheets. Soap nuts for washing cloth diapers is another great way to save money and protect your family. You don’t have to be a victim of the clever marketing schemes of major corporations anymore. We deliver the highest quality organic soap nuts direct to you so that your family can enjoy the amazing benefits at an affordable price. "Buzzzz!" Well, I guess my laundry finished drying. I paused my Netflix and sprung off the couch making my way to the laundry room. I usually dread doing the laundry, but not this time. I just tried using soap nuts to wash my laundry for the first time. Filled with a sense of excitement and curiosity, I opened the dryer door and felt the warmth of the dryer air against my body. I reached in and grabbed my favorite cotton towel and pulled it in close to smell its scent. But it had no scent. It just smelt like pure clean fabric. It was quite refreshing to my surprise. I rubbed the towel between my fingers and brushed it against my face. I could not believe what I was feeling. My favorite towel that I have been using for the last five years felt softer than it has ever felt before. "For the next twenty seconds or so I stood there massaging it between my fingers as if I was a child playing with Silly Putty. I folded up the towel and tossed it aside as I reached in the dryer to examine the rest of my laundry. Everything was super soft from my jeans and shirts to my pillowcases and sheets. "I could not be happier with the results. I love the way all my fabrics feel. I don't get that waxy feel left behind by chemical detergents and fabric softeners. I also love the fact that I can cut out a major source of toxic chemicals and pollution from my life. Did I mention switching to soap nuts cut my laundry bill in half? They are cheaper than store bought detergents and I don't have to buy fabric softener or dryer sheets anymore. "Thanks Green Virgin Products!" Cindy You’re Welcome, Cindy! We’re delighted to hear soap nuts have brought so much joy to your cleaning process. 1) Give your car a like-new shine with an all-natural soap nuts wash. Simply toss about 5-10 nuts into a bucket of water. Stir the water until you get nice bubbly suds. Rinse your car off with a hose, and use the nuts suds and water to sponge your car clean. Hose the soap mix off before it dries on your car. Dry the car off and enjoy a beautiful, clean shiny car. You can pour the soap nuts water on the lawn or bushes and they will love it. 2) Use the nuts in a drawstring bag on your next vacation or trip for an all-purpose cleaner. The soap nuts drawstring bag will easily fit in your luggage making it easier to bring your favorite cleaner/soap with you on your next trip. It’s especially useful for campers. You can easily wash your hands, face, laundry and even clean small cuts with the bag of the nuts. There’s no reason you have use toxic cleaners just because you’re on vacation or out in the woods. 3) Wash your hair with soap nuts. For people that are especially sensitive to chemicals, soap nuts is an effective shampoo. They certainly won’t produce a luxurious lather so it’s not our recommended use of our high-quality soap nuts, but we have heard from many people that they have found it to be a great, chemical-free shampoo. On top of it being effective, these soap berries are significantly cheaper than name brand shampoos. 4) Wash babies and pets with them. We all know that babies and pets require special care when bathing. They are generally much more susceptible to allergens and skin irritation. This makes a soap nut and water mix the perfect way to give your babies and pets a safe and simple bath. 5) Boil all used soap nuts to get even more use out of them. You can easily use your soap nuts for multiple laundry loads or cleanings. Instead of throwing them out when you have used up each group of soap nuts, simply gather them up and put them into a large pot of water. Boil the soap nuts and water for about an hour and pour the mix through a strainer. Collect all the brown soap nuts liquid in a jar. The liquid that has been strained out will stay good for a few weeks and act as an effective cleaner because all the remaining saponins have been extracted out in the boiling process. The used up nuts are compostable. You’ve now easily extended the life of your product by a couple extra weeks. You can even pour this liquid into ice trays and freeze it. The ice cubes of the liquid make a fantastic laundry detergent and cleaner. 6) Compost your remaining nut shells. Simply toss your the used nut shells into your lawn or garden. They are a great organic fertilizer. One more reason why you should start using them for your various cleaning needs around your house. Q: What’s the proper way to use soap nuts? A: Well, it depends on which of our soap nuts products you purchase. You really have two options. First, the nuts as a whole are perfect to put in a wash bag and add to your laundry. If you put about 5 nuts in the wash bag, you should get 5-7 wash loads out of each bag. If you ordered the liquid form of the nuts, just put two pumps for a front loader and three pumps for a top-loading washer and run your laundry. Q: How long should the wash bag remain in the washer? A: You should leave the bag inside the washer until all wash and rinse cycles are finished. The nuts also act as a natural fabric softener, so you don’t need additional softener or dryer sheets. You may want to use a pre-soak cycle to allow the soap nuts to become completely saturated before the actual washing cycle starts. Q: Are they effective in cold water? A: Definitely. Our high-quality Sapindus Mukorossi organic soap nuts have the amount of saponin that works with cooler temperatures. Pre-soaking will produce better results at all temperatures though. We recommend breaking up the nuts into smaller pieces before putting them in your wash bag to fully release the saponin. Q: Are the soap nuts working even though I hardly see any suds? A: Yes, they are hard at work to clean your clothes. Most of the foam and suds you are used to seeing come from artificial foaming agents added to the laundry detergent to make you think it’s doing a great job of cleaning. That foam actually has no cleaning impact on your clothes. This should be some clue as to what big corporations are focused on when they develop and market their toxic detergents. The insane amount of dyes, artificial foaming agents and toxins added to most popular laundry detergents are a general health hazard and often cause allergies and skin irritations. The only completely safe cleaner is an all-natural surfactant.. We know you won’t miss the unnecessary foam and suds when you pull your first load of laundry out of dryer. Q: Can they be used in High-Efficiency washers and front loaders? A: The answer is yes for both. They work especially well in High-Efficiency washers because of the low production of suds. They will work well in your existing top loader as well. We always recommend using the pre-soak cycle for the wash bag method to get the best results. Q: How should they look and feel when active? A: For starters, remember that these are not nuts but are actually dried berries. Sapindus Mukorossi, as it is called by its proper botanical name, has a golden or yellow color when first harvested, and feels like a juicy berry. After the berries have been sun-dried, they will develop a harder shell, which is where they got their name. The dried soap nuts are much easier to process and deseed. When dried they should look tan to dark brown. Here is a simple test to determine if your soap nuts will still effectively clean: Fill a jar with the used soap nuts, add in some warm water and shake the jar. All you need to see is some suds to know that your soap nuts are still able to provide excellent cleaning power. Q: Can I use them if I have a nut allergy? A: Yes, you can. Despite their name, they are not nuts or related to nuts in any way. They are berries. That just became the accepted nickname or common name because of the hard shell that develops when sun-dried. You will also commonly hear them referred to as soap berries. Q: What’s the best way to store them? A: As with most natural products, any moisture will speed up their decomposition so they are best stored in a dry environment. Moisture will also lead to the early release of saponin, and you always risk possible mold or mildew if it is not stored properly. We recommend storing the soap nuts in the muslin bag with the plastic bag inside to prevent moisture and oxygen from robbing the soap nuts of their full cleaning power. Soap nuts are often called, “Mother Nature’s Gift to Mankind.” They clean as well as the name-brand toxic laundry detergents. Amazingly, they cost about half as much, and don't pollute our planet. There is no reason to lie or be misleading in order to sell them, but, surprisingly, there are some scams out there that you should be aware of if you want to get all the benefits of this fantastic fruit. At Green Virgin Products, we present the facts and sell the highest quality soap nuts available. This approach might seem like common sense, but it’s been our simple mission since we founded our company. We have used this approach to become one of the largest soap nuts sellers. Unfortunately, not all soap nut sellers feel the same way about presenting the facts. There are a few common scams we’ve found in our years in this industry. One of the most deceptive practices that we’ve seen is the practice of setting up fake websites that purport to being informational portals. These websites represent themselves as helpful sites to inform the consumer of the many amazing benefits of these berries, but they are really just landing pages and sales portals for deceptive sellers. These sites are easy to spot if you look closely. If any site that represents itself as an informational portal and continues to link to one company’s website where they want to sell you soap nuts, you should probably be skeptical of their claims. You should also be skeptical of any company that believes this is the only way they can beat the competition. We know of one of these fake informational sites that even went so far as making up a fake seller award, so that they could give it to their own site. You’ll recognize this particular company as the one that makes the outrageous claim of being the world’s biggest seller of soap nuts. Keep in mind, there are currently no public companies selling soap nuts, so there’s actually no way to know who is the biggest sellers in the industry. Another common scam involves false claims about the quality of the nuts that are not packaged in the United States. This means they want you to believe that where the soap nuts are put in their bags somehow improves the quality. The insane claim tries to say that if two companies buy the same high quality soap nuts and one company puts them in a bag where they grow, and the other company puts them in a bag after shipping them to the USA, then the soap nuts that were put in the bag in the USA are somehow better than the ones put in bags overseas. It doesn’t take much knowledge of the industry to know this claim falls flat on its face. Common sense would tell you the exact opposite. The quicker the soap nuts are harvested and packaged, the better the quality. Admittedly, some of these deceptive businesses do sell good soap nuts. They could easily grow a successful business without the misleading claims. Their choice to lie to all soap nuts users puts the entire industry in jeopardy and we’ve always felt a calling to provide accurate information for the benefit of all potential soap nuts users, no matter where they purchase their soap nuts from. Are all soap nuts created equal? Experts agree that the best soap nuts are deseeded, Sapindus Mukorossi Soap Nuts from India and Nepal. If you buy from a reputable seller, then you should see similar quality soap nuts. Unfortunately, some sellers make these claims without delivering. It is most important to understand that there is a big difference between Sapindus Trifoliatus and Sapindus Mukorossi soap nuts. There are a few sellers out there right now representing the Trifoliatus soap nuts as exactly the same as Mukorossi. Unfortunately, this is absolutely not true. The Trifoliatus are much smaller and have a much lower saponin content. At Green Virgin Products, we will never sell Trifoliatus soap nuts or dilute our Certified Organic Soap Nuts with these lower quality soap nuts. Nuts with seeds will also deliver disappointing results. Leaving the seeds in the nuts is a simple way to deceive customers. It makes the package weigh more, but the seeds are completely useless for cleaning. Only the pure shells will provide the cleaning you’re looking for. The seeds will even commonly leave stains on your clothes. The final scam we see commonly is the exaggerated load scam. Some of the leading sellers out there are still deploying deceptive marketing with this scam. The premise is simple. Market and advertise based on the highest possible number of laundry loads that the nuts could possibly be used. There are competitors that advertise getting twice as many laundry loads with their soap nuts as we advertise. Here’s the funny thing. The ones we’ve seen sell the exact same soap nuts from the exact same areas of the world. They even use a similar packaging process. This seemed quite odd to us, so we started looking into it more and noticed many sellers using it. At Green Virgin Products, we will always advertised based on the number of expected laundry loads you can use our products. We see no value in trying to exaggerate the already impressive cleaning power of these soap berries. It’s already half as expensive as name-brand laundry detergent without the harmful chemicals. Don’t be fooled by these crazy claims. It’s tells you something about a business that feels they need to lie about a product that already has amazing cleaning power. Why are we calling out these deceptive practices? Why do we care if there is a company out there engaged in these scams? Well-intentioned consumers looking to go green and eliminate a major source of toxic chemicals from their lives might buy these inferior products that are not effective. These people generally go back to using detergents with toxic chemicals again. We even find many that will say they tried soap nuts once and they didn’t work. Spreading this false information based on a poor experience from a deceptive company is why we will always share the facts around them with you first. It’s also why we will continue to expose these scams when we find them. We will say that sellers like this are the exception and most offer the real deal. We just think it’s important to offer a voice of reason to all potential users so that they can make an informed decision about where to buy the best soap nuts. Many big sellers also mark up their products by as much as $15 more for a kilo than our prices, while making these deceptive marketing claims. Don’t be fooled by the high price. It does not mean higher quality. At Green Virgin Products, we have always had the goal of selling the best possible products at the lowest sustainable profit margin. 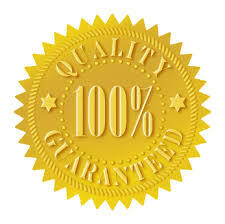 This means we will always deliver high-quality Soap Nuts at the best possible price for you each and every time. Looking for where to buy soap nuts? 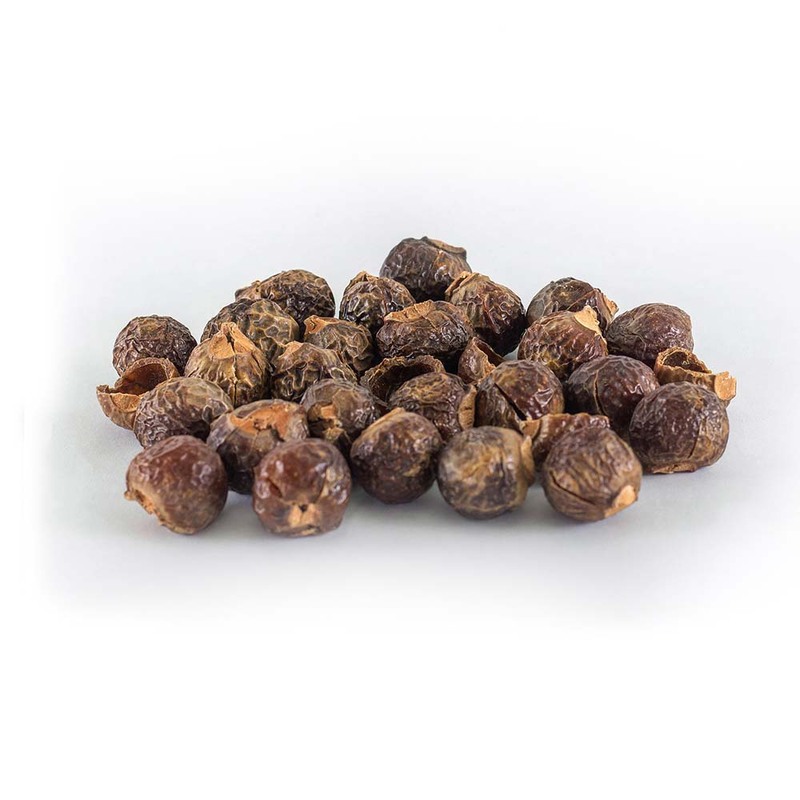 Shop our soapnuts products at the top of this page.